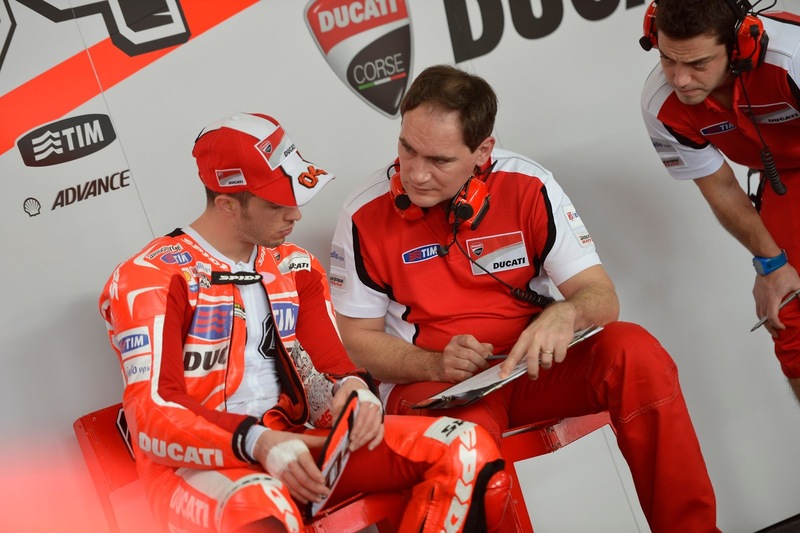 Ducati came to Sepang with a fresh new look and four riders on their factory machines. Nicky Hayden had revealed at the WROOOM pre-season launch that at Sepang, Ducati would be testing the same machines they ran at the end of season test at Valencia, therefore any improvement would be limited. However on day 2 of testing, Hayden and Dovizioso find themselves rounding out the top 10 behind all other full-time prototype riders on other machines. It’s worse for Spies & Iannone who find themselves 13th and 15th respectively with Yamaha test rider Yoshikawa sandwiched in between them. Today, Hayden found himself 1.5sec adrift of fastest man Pedrosa, Dovizioso was 1.8sec adrift of 1st, Spies (who to be fair, has aggravated a previous injury) 2.4sec adrift and Iannone 2.6sec back on the leader. Whilst all riders have reduced the gap from even larger ones yesterday, you can’t help but think that this is incredibly worrying for Ducati. Looks like Hayden is still far behind at the test trials, I hope that before Ducati teams up with Repsol Honda they'll set a good records on the remaining 2 test. Teaming up with a good team isn't but, but somehow it looks like you're also giving up. Looks like ducati had a slow start for the 2013 season, huh. A little miscalculation with the valves and some loose clamps causing power loss maybe? Next Next post: Alstare: "The end of a great story"